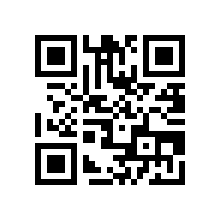 Like Mark Twain, reports of the death of QR, or Quick Response, codes have been greatly exaggerated. In fact, anyone who avails him- or herself of public transportation in major metropolitan areas is likely to still see QR codes integrated into brand messaging. So while QR codes may not have been the disruptive advertising technology they were once purported to be, there’s still genuine value for advertisers – particularly on the local level. QR codes started out as a quick and easy way to open URLs in an era in which smartphones lacked many of the features they do today. As a result, excitement faded, with many leading marketing publications definitively declaring the technology dead as the industry overall moved on to the next shiny, new thing. For one thing, they require an app download in order to scan and access additional information. In fact, John Cothill, marketing manager of conference call service Meetupcall, said lack of out-of-the-box QR-code readers on mobile devices was likely the biggest issue blocking widespread adoption among consumers. Plus, mobile devices now come with technology alternatives like NFC, or near field communication, which allows devices to communicate when they are brought in close proximity. What’s more, James Steadman, creative director of marketing consulting firm J.C. Steadman, said marketers didn’t know how to use QR codes. And, like virtually any new technology, marketers were quick to adopt the codes as a result, but didn’t think their strategies through, placing QR codes in the wrong channels and moments, such as TV, billboards or bus stops, where they are inconvenient or even impossible to scan, Steadman added. For his part, Jordan Scheltgen, managing partner at digital marketing agency Cave Social, conceded QR codes were often placed in venues that drew big crowds, but are also places where consumers are typically on the move, like highways and airports, which makes it highly unlikely anyone would open their phones to try to capture the codes. Further, Scheltgen noted mobile-savvy consumers are comfortable typing, so they can in all likelihood type a URL faster than accessing a QR code reader. In addition, Steadman said that among consumers who did go through the hassle of downloading code readers and scanning codes, the resulting content frequently disappointed them. In other words, marketers did not provide value and/or the codes often led to websites that weren’t optimized for mobile, which “really hurt not only conversion rates but also stopped people from wanting to use them in the future because of the bad experience they had the first time,” he added. But that’s not to say QR codes are necessarily dead and gone forever in marketing. Look no further than social media darling Snapchat, which launched Snapcodes in 2015, which, per Snapchat (http://techcrunch.com/2015/05/04/snapcode/), are a QR-code-like feature that allow users to easily add friends by pointing their cameras and tapping. Further, Snapchat said millions of these Snapcodes are scanned each week. The move followed Snapchat’s $50 million acquisition of QR code generator and barcode scanner Scan.me in 2014 (http://techcrunch.com/2014/12/16/snapchat-emails-not-so-ephemeral/) and Louise Keenan of local online marketing firm Location Edge Digital noted Snapchat’s vote of confidence indicates potential still exists for QR codes. Here’s what that means for local businesses. Like any marketing technology a brand has identified as viable, the first step is really testing, learning and iterating. “The only way a local business can decide whether or not [QR codes] work for them is to simply test them and see if your customers respond to them,” Keenan said. Further, make it as simple and easy to use QR codes as possible. And adequately reward consumers for making the effort to scan your codes, such as providing value-add content. And, of course, make sure it is optimized for mobile. “This is a great opportunity for businesses who have their own app, or for brick and mortar shops who need more foot traffic, as people are now becoming normalized to scanning items for added functionality or for more information,” Steadman said. For example, a local fashion retailer wanting to make itself more competitive versus online shopping could make a business app and implement QR codes on its products, price tags and shelving, he said. Further, be thoughtful where you place QR codes and put them in places where consumers will likely have the time and willingness to scan them. That includes local businesses advertising in newspapers that are read by consumers at home. For her part, Kan also pointed to restaurants, which could provide QR codes for takeaway items so diners could add them automatically to fitness tracking apps instead of guessing the calories or searching for food in a database. And garden centers could provide QR codes on plant pots to tell consumers about details like whether a plant should have full sun, part sun or total shade, plus the full-grown height and best plants to combine it with. Steadman also pointed to direct mail, which he said has had success with QR codes in some niches like real estate in which businesses have custom apps. “The consumer can scan and find the related property, or claim an offer, often with the QR codes being personalized so they don’t need to fill any contact details out,” he added.